The National Centre for Earth Science Studies is housed in a spacious 50,000 sq. 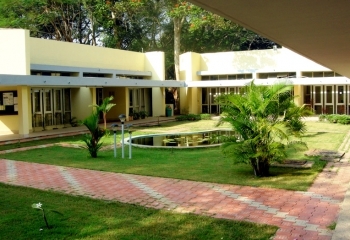 ft building constructed in a campus of 18.6 acres. 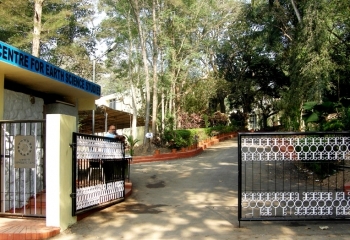 Development of NCESS campus in 1986 was an unparalleled landmark achievement as it was a transformation of an abandoned clay mining site to a beautiful green campus within a short span of one year. 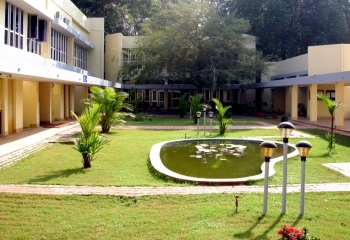 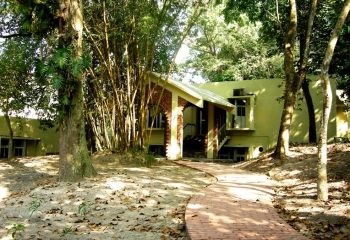 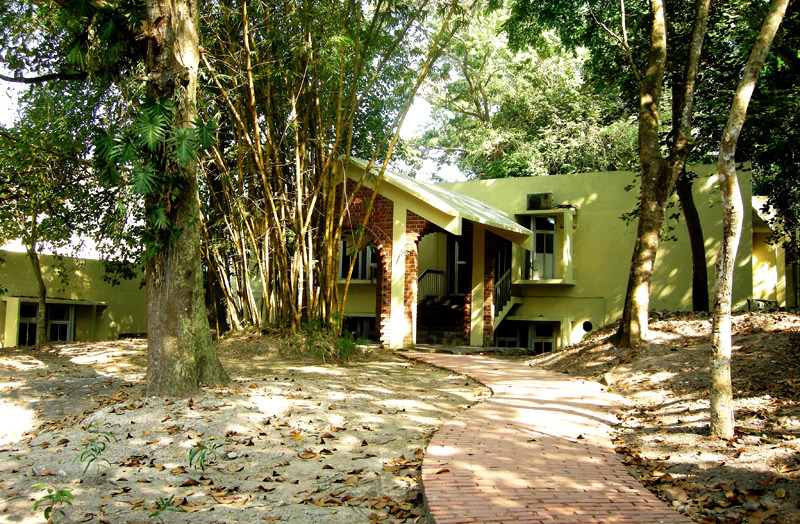 This sprawling campus with all amenities, free from the noise and hustle of the city, in a nature friendly surroundings, was a vision of our founder Director Prof. C. Karunakaran, realised through the leadership of Dr. H. K. Gupta, the then Director and Sri M. Sethumadhavan, the then Registrar. 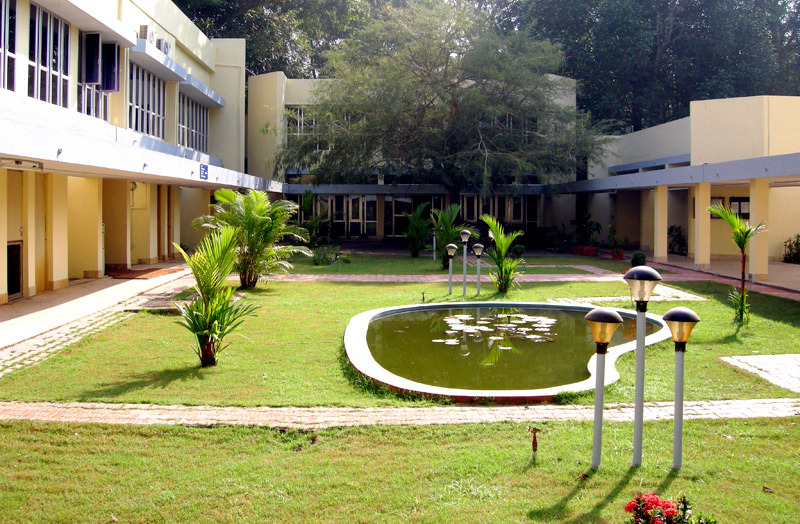 The present beautiful green campus owes much to them and equally to the imagination and hard work of Dr S. Satheeschandran Nair in revitalising the land to a green campus and home for over 200 rare species of flora. NCESS building is constructed on natural gradients, slopes and excavated mining areas in a nature friendly architectural design. 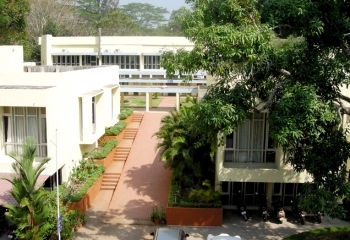 Buildings are spread as different blocks. 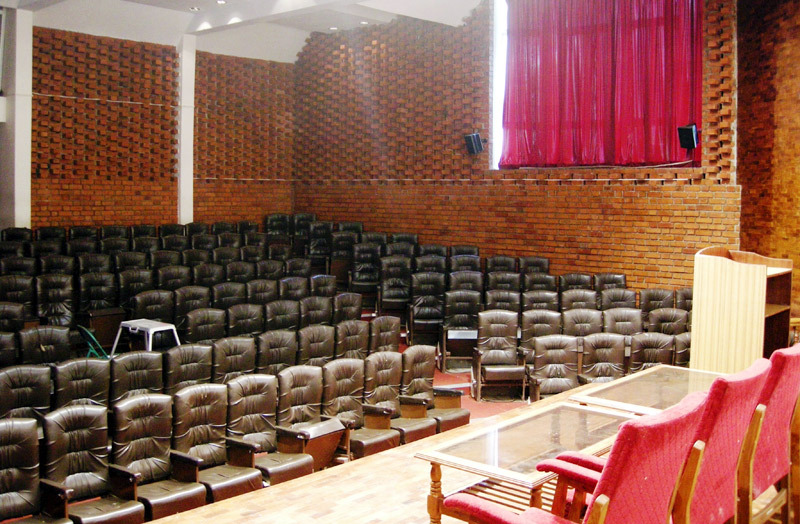 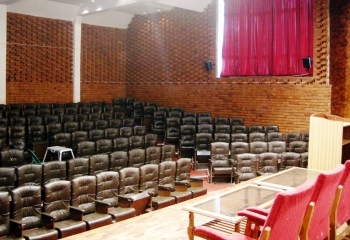 Main building houses Administration, Library, Conference Hall and an auditorium. 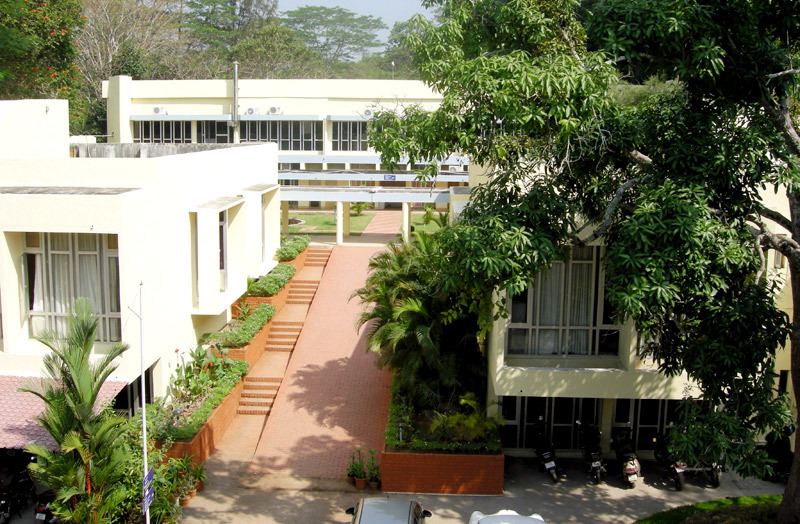 Four interconnected blocks provide seating spaces for scientists. 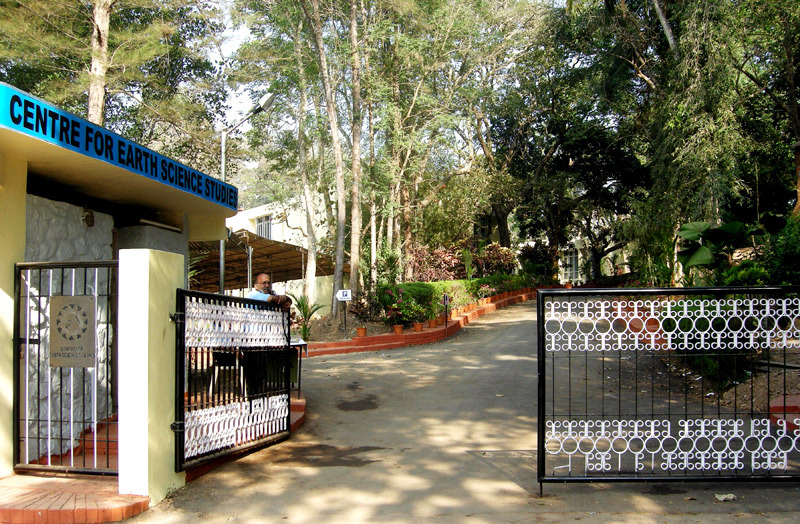 Laboratory block houses main laboratories of all divisions with a centralised access to scientists of all disciplines. 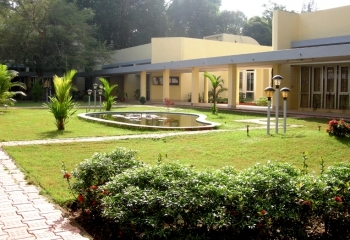 A separate building for canteen and guest house is built away from the main buzz of activity. Canteen functions from 9 am to 4.30 pm providing Kerala style breakfast and lunch with various types of snacks with tea and coffee. 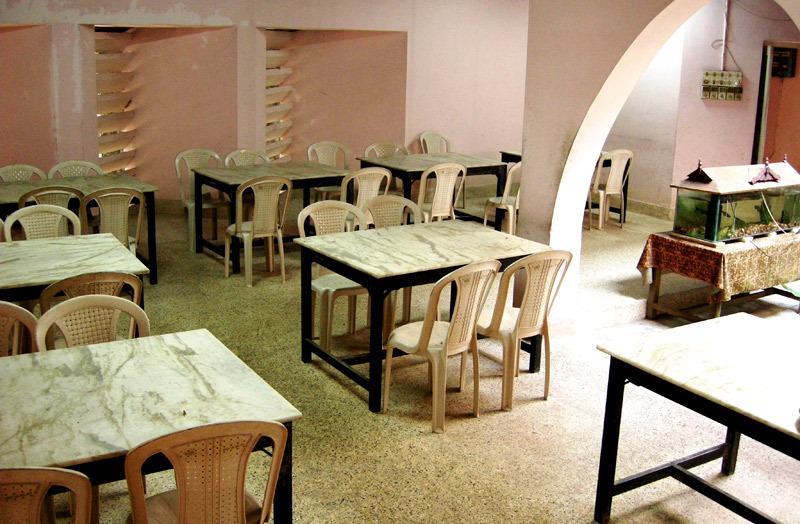 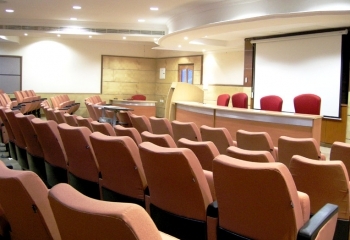 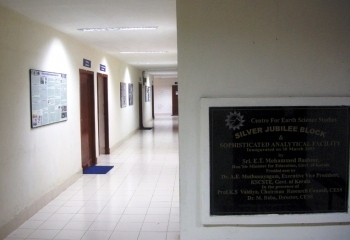 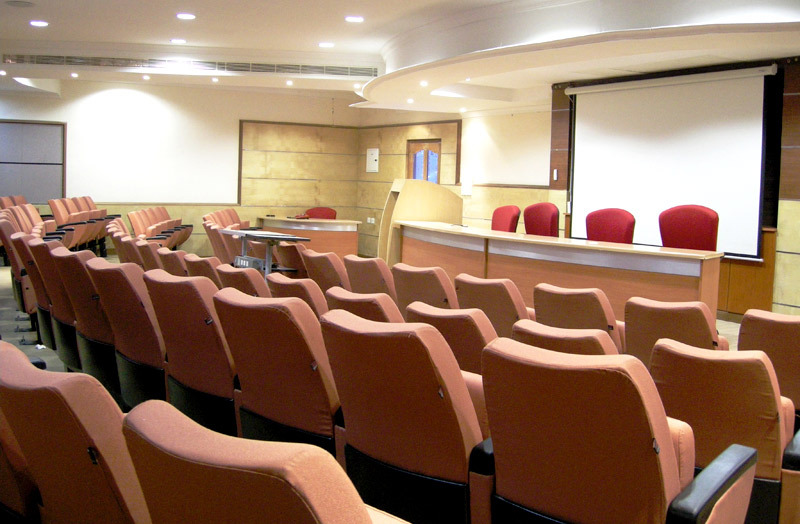 In 2004 a laboratory block was added over the existing block to house new sophisticated facilities and provide two smaller meeting and discussion halls. 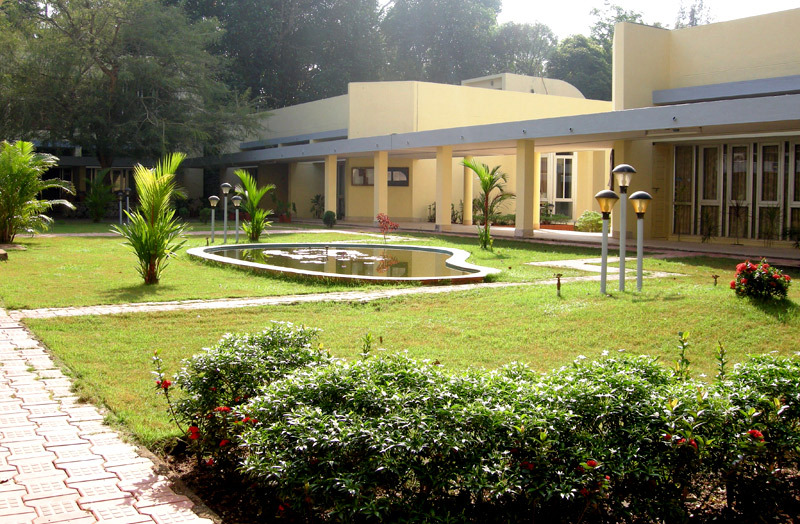 NCESS is expanding in tune with needs and necessities, without affecting greenery and serenity of the campus.